The Cove's Zombie and Fun Wheel at Disney California Adventure. I finally did it. I got drunk at Disneyland. Not by sneaking in booze which, although it apparently happens, will earn you the boot out of the Magic Kingdom if caught. Instead I did it legitimately and well thanks to the offerings in and around Disney California Adventure. Disneyland Park itself has zero options for discerning drinkers (unless you’re a member of the super-exclusive Club 33). That Mint Julep Bar in New Orleans Square doesn’t even have booze in its Mint Juleps (sad trombone). 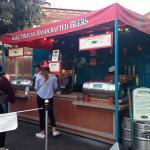 But the adjacent California Adventure has a plethora of boozy offerings. They may not be on the level of what you’d find in your favorite craft cocktail bar, but there are some pretty damn decent options if you know where to look. But before you get started, know that when drinking at Disneyland, you have to play it smart. It would be really easy to turn the amusement park into the Unhappiest Place on Earth by going overboard. So here’s how and what to drink. Karl Strauss Beer Truck in California Adventure. Carthay Circle Manhattan: Bulleit Rye, Carpano Antica, Angostura bitters, and Luxardo Maraschino cherries, ice sphere. 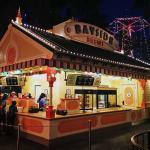 Bayside Brews at California Adventure. 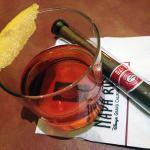 Sazerac and cigar at Napa Rose. Ease in by starting the day off with beer. Bayside Brews on Paradise Pier features six on tap: three macros, a couple of San Diego’s Karl Strauss brews and Sierra Nevada Pale Ale. Or stop by the Karl Strauss Beer Truck while promenading from Cars Land to Pacific Wharf. For the extra picky beer geeks looking for a particular beer, check out the Beers and Ears site, which features crowd-sourced beer lists from the Disney parks. 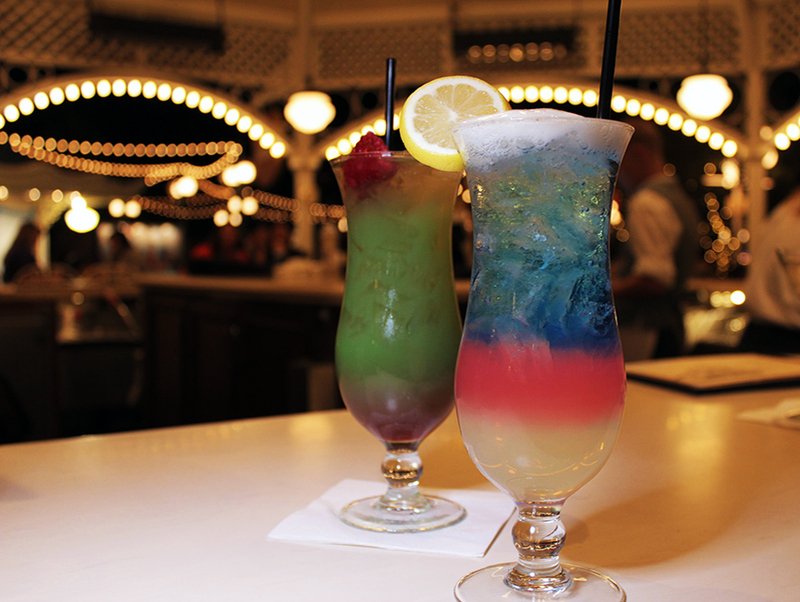 By the time you reach the Cove Bar on the boardwalk, you will probably already have ridden the Tower of Terror and California Screamin’ (my personal favorites), so it’s now safe to move on to cocktails. But one doesn’t go to the Cove to ruminate over a rye Manhattan, even though it is on the menu. You order the popular, off-menu rainbow drinks and take in the boardwalk atmosphere and the lights of Mickey’s Fun Wheel. For something super boozy and sweet, there’s the camouflage-colored Zombie, which is made with dark and light rum, coconut rum, blue curaçao, pineapple, orange juice, grenadine, and 151. But I actually enjoyed sipping on the dry, not-too-sweet, patriotic-hued Fun Wheel cocktail—basically an Adios MF with X-Rated vodka and topped with lemon foam. It took me back to Rocket Popsicles at the carnival. If you can, try and score a table overlooking Paradise Bay, which has the best view to enjoy those drinks. Carthay Circle Lounge is the perfect way to end your day in California Adventure. After walking around all day in the sun, you’ll be eager for a low-lit, elegant spot with plush club chairs to sink into. 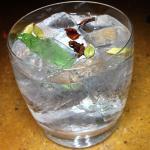 For something refreshing, order the Botanical Gin & Tonic. Made with Hendricks, tonic, star anise, cardamom, and mint, it’s bright and herbaceous. If you don’t want it too boozy, it comes with a sidecar of tonic water for you to dilute it to taste. 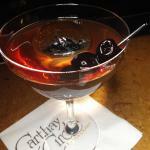 That said, the Carthay Manhattan is the drink ordered most frequently. Everyone loves the made-to-order ice sphere. And sure, Manhattan purists will pooh-pooh that this one is served both over that ice sphere and in a coupe, but, hey, at least the cocktail is well-balanced. For the ultimate Disney drinking experience here, order the Scotch Mist (Black & White scotch served over crushed ice with a lemon peel), which was Walt Disney’s drink of choice. It’s best enjoyed while gazing at the many black and white photos of ol’ Walt adorning the walls of the lounge. Just because the parks close doesn’t mean your day of boozing is over. Head on over to Disney’s Grand Californian Hotel & Spa. While the Hearthstone Lounge in that gorgeous hotel lobby offers some cozy coffee cocktails, the best way to wind down is by the outdoor patio firepit at Napa Rose Lounge. Napa Rose is known for its attention to wine—apparently all the servers and chefs have passed the Court of Master Sommeliers intro or certified level, but there’s also a large selection of spirit-forward cocktails. Order the Sazerac, which is made with a combination of rye and cognac here, or a scotch neat to sip on while puffing on a cigar. 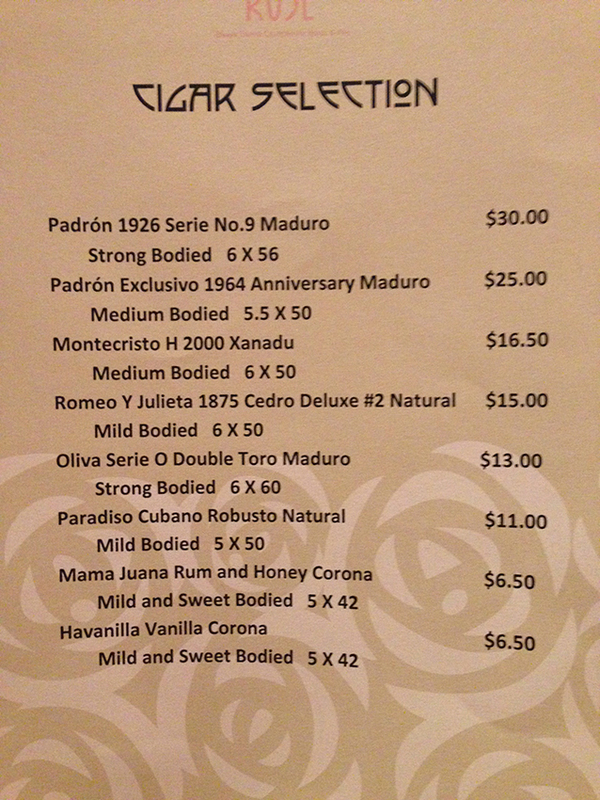 Yes, they offer a cigar menu where you can take your pick of a $15 mild-bodied Romeo y Julieta 1875 Cedro Deluxe #2 or a $30 strong-bodied Padron 1926 Serie No. 9 Maduro. No matter how tired you are at the end of your day of fun, you must end the night at Trader Sam’s Enchanted Tiki Bar. It’s everything you wished Disneyland’s Enchanted Tiki Room was. Meaning, it has Tiki cocktails. And there are certain drinks that will activate a little show. Something more ooh-inspiring than Tiki Ti‘s “Torooooo!” chant. But I won’t ruin the surprise for you here. As for which cocktail to order for the end of the night, I was a fan of the Shrunken Head, a potent mix of reserve and aged rums, tropical juices, Falernum, and cinnamon. 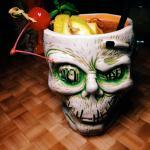 Bonus that it’s served in a creepy zombie head souvenir Tiki mug. Naturally there’s a secret menu here, but it’s basically made up of Tiki classics like the Navy Grog and Painkiller. Next articleIs Your SoulCycle Class a Cult?